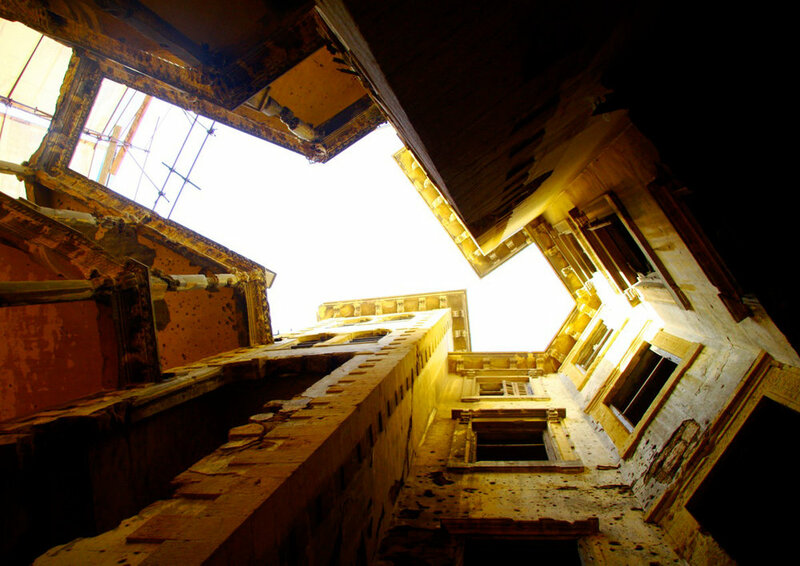 This thesis project stems from a personal interest in decay; ruined structures and buildings scattered around Beirut, relics of the civil war. It questions the nature of these spaces, and how through architecture, they can re-integrate the fabric and life of the city, as a process tied to their use. At the basis of this research is the convinction that the life of a building is not confined to the time span within which the building conservces the shape and function it was initially designed for but should extend its use through its dereliction to its assumed death, continuing through new functions and interventions to be experienced as architecture until its final disappearance. For the purpose of specificity I direct my questions towards a single building, which embodies simultaneously the reason cause, physical manifestation and opportunity of appropriation of decay and its prolificacy in Beirut, namely the Barakat Building (aka the Yellow Building). 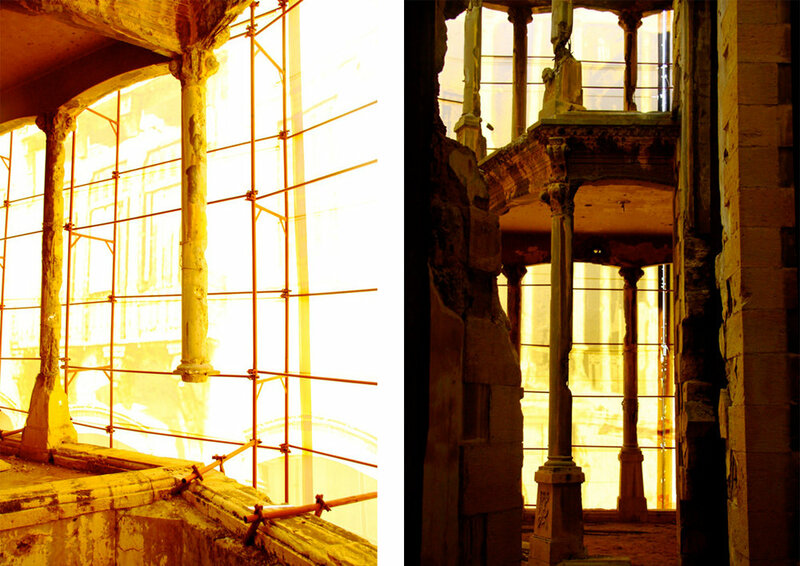 The thesis analyzes two popular scenarios in dealing with abandoned structures; the Ruin and the Monument, and concludes that neither is a desired future for the yellow building. 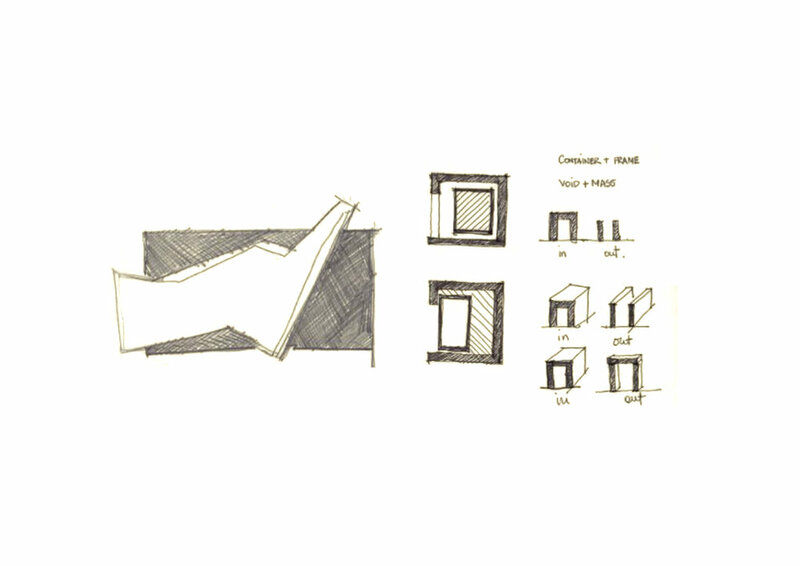 Instead what the project proposes, through the injection of a program inspired by the present state of the building and its context, namely a school of circus and performing arts, is an architecture that is temporary, always in process, never complete. The building becomes a dynamic space harvesting energy into creation, rather than destruction. A temporary steel truss structure, injected through existing and new carved voids creates functional spaces, suspended between the existing skeleton and the new structure. Public and private circulation intertwine throughout the building, culminating in a covered roof theatre that projects the lights of the show to the city around. The porosity of the ruin is maintained; yet through allowing the building to function again reclaims its status as an ‘architecture’.